I'm a fairly practical person. If I have something that works for me and isn't falling apart at the seams, I'll keep it. Don't even make me show you the aqua knit top from Express that I still wear and get compliments on to this day ... that I also wore for my senior portraits in high school, taken in 2000. I know -- it's a little crazy. But I'm not ashamed. 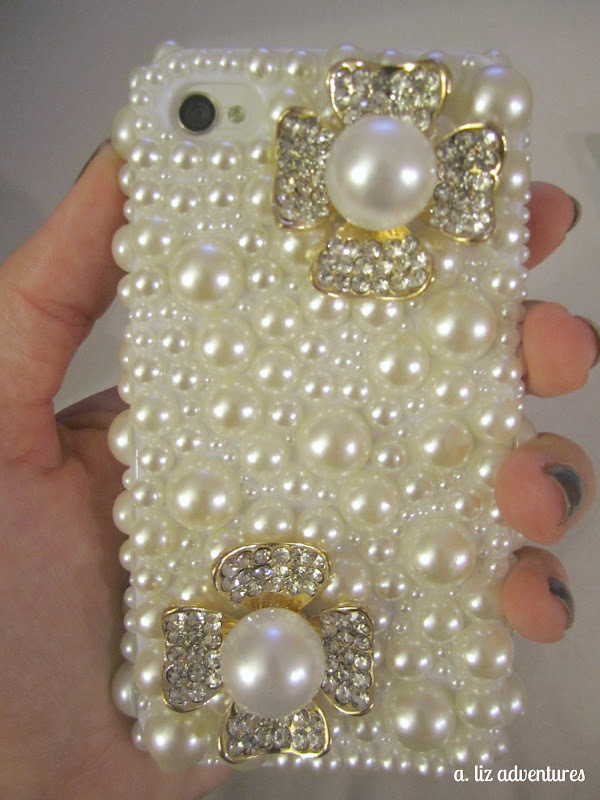 I've had the same iPhone case since I first got it about a year ago. I like it because it's a two-part case -- a soft silicone-type casing for protection and then a hard, decorative shell that snaps on the outside. I wasn't necessarily in the market for a new one, but I saw something the other day that had me stop dead in my tracks. Immediately, and without hesitation, I snagged it. It goes against my nature to buy a new iPhone case when I already have one ... especially one that is not so practical and protective as my former case. This thing is flamboyant, bulky, and it offers basically zero protection if the phone were to be dropped. Come on, you know you love it. Even the most mundane hotel self portrait is a lot cuter with my new addition. And the best part is that it didn't even come close to breaking the bank. I think their price sticker sums it up best: "fabulous find." Get thee to your closest Stein Mart! So, I have to know -- do you like it? omg i LOVE it. 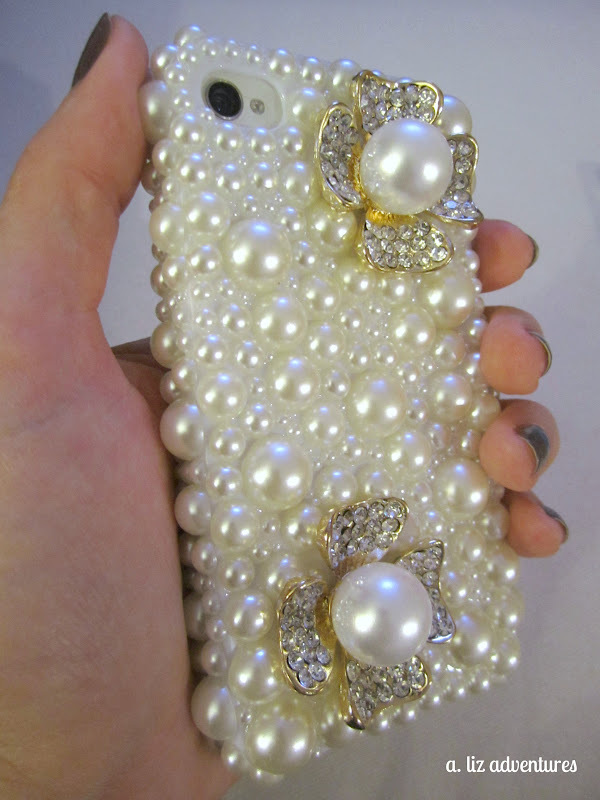 if i had an iphone i clearly know where i may be getting a case! gorgeous girl! LOVE it! I would've snapped it up as well! Pretty!! I glanced over the packaging and thought you made it at first! Love it!!! What a fun thing to see each time you reach in your bag for your phone. I woulda done the same thing! I haven't seen a case like that before. So unique! As I said on twitter the other day, I freaking LOVE it! So adorable! OOOOOH blingy and cute! Fun! !